This work was presented at the Annual Canadian Society of Anesthesiologists meeting in Montreal, Canada on June 16, 2018 as a paper in the Anesthesia Education and/or Simulation award session. Trial registration: Clinical Trials Registry India (CTRI/2016/05/006902); registered 5 May, 2015. The online version of this article ( https://doi.org/10.1007/s12630-019-01339-2) contains supplementary material, which is available to authorized users. 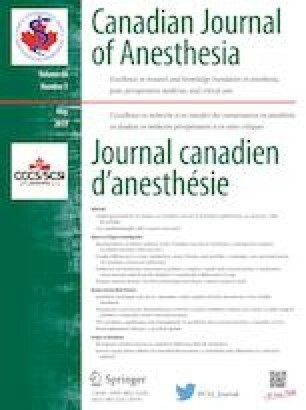 This submission was handled by Dr. Gregory L. Bryson, Deputy Editor-in-Chief, Canadian Journal of Anesthesia.